Free aviation PowerPoint template is right to give a presentation regarding aerodynamic capabilities of an aircraft. 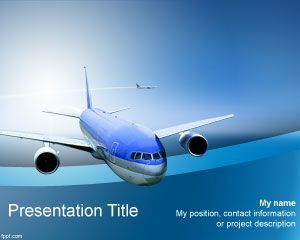 Give an authoritative presentation regarding the production and operation of aircrafts with the help of free aviation PowerPoint template. 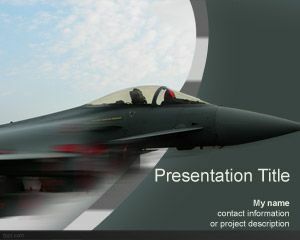 The basic free PowerPoint template is specially designed for briefings on aircrafts, whether they are used for civil or military purpose. Such presentations are typically given by engineers, as they explain workings of an aircraft, and how its features, such as design are specified. 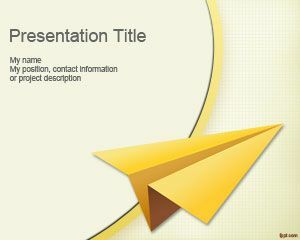 Choose from a variety of free PowerPoint templates particular to aircrafts, including Airplane, Aircraft Paper, and Airplane flying away in Sky. 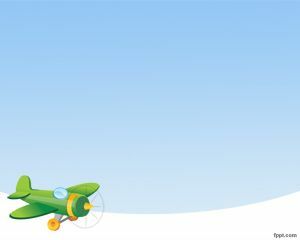 Aviation is the study of development and use of aircrafts. The subject matter is quite complicated, and is studied by most military students, who aim to design and fly an aircraft themselves. The aviation template is made, while keeping in mind the formal environment of a classroom, or an organization. The first impression of the template is that, it is quite simple as it contains a cover slide and others with standardized font sizes and type. In a field, such as aviation, attention to detail is of the utmost importance; therefore, the choice of a template should be conventional, and particular to the subject matter. 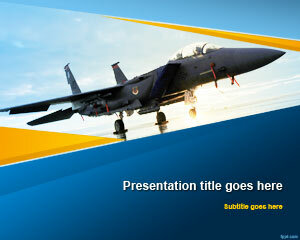 The title slide features a fighter jet, and the inner slides are assigned bullet points for your convenience. Slide length can be extended, so that it is appropriate to the size of presentation. 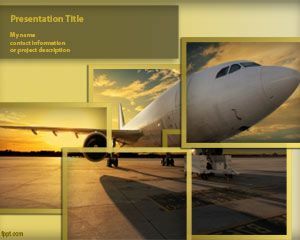 Engage the audience with the free Aviation PowerPoint background, and captivate their attention to your plans about the workings of an aircraft. 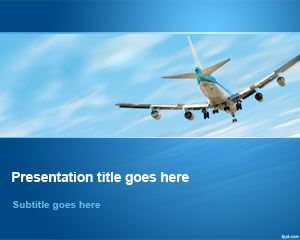 The free aviation PowerPoint template works seamlessly with the latest and previous version of Microsoft Office, both for the PC and Mac.